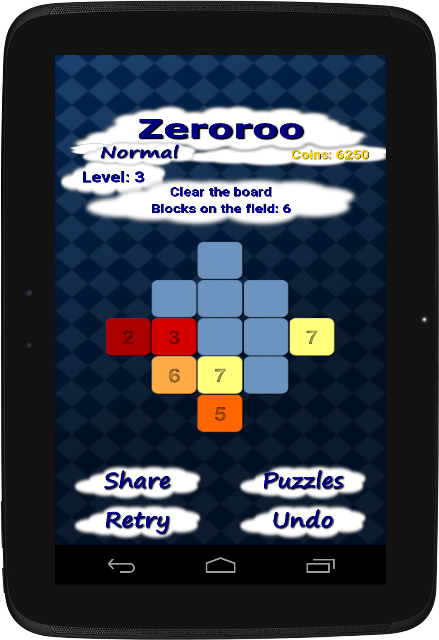 Zeroroo is a sliding block puzzle with multiple levels. The win condition varies from level to level. Some levels will change as you try to reach your goal. Changing your strategy is a must if you want to win. The aim is to merge similar numbers. Each time you match the numbers, the number decreases. Reach zero to clear the board! 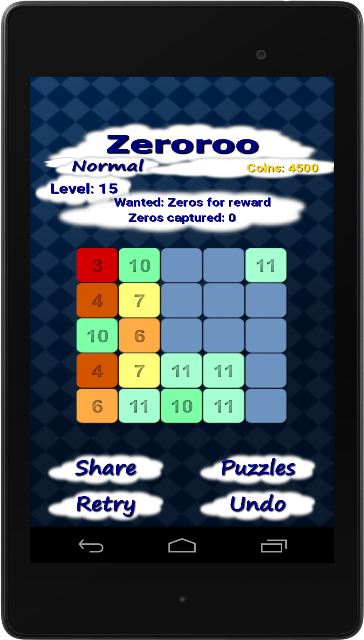 Zeroroo has a Rapid and Classic game mode. With the Rapid game mode, you get a bonus if you merge more than 2 numbers in a swipe. It is immensely satisfying to clear the board with a couple of smart swipes! If that does not float your boat and you want a slower and more strategic approach, try the Classic Mode. 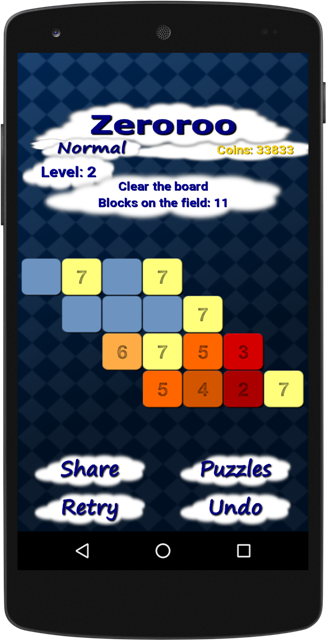 In this mode, you can only merge 2 numbers at a time.